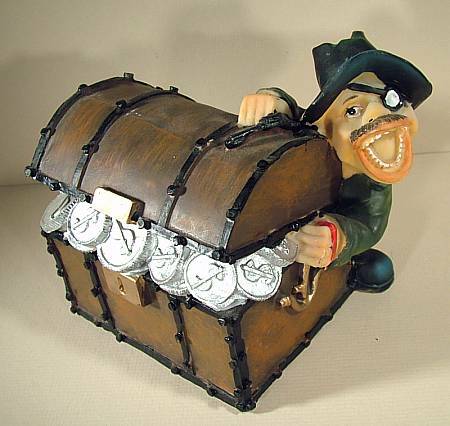 A laughing mobster with a patch in his eye hugs a chest full of coins. This is a piggy bank, too, so the drawings of the coins may actually match reality. We are not totally sure of the material, though it might be plastic. In any case, it is handpainted, and has a lot of character.